Application: daily in the morning. Benefits: perfectly absorbs and penetrates deeply into the skin, intensely moisturizes and nourishes, an antioxidant, protects against the negative environmental impacts, returns tone and restores the skin's structure, has antiseptic properties, normalizes the sebaceous glands. Composition: jojoba oil, squalane, hazelnut oil, passion сeed оil, black cumin oil, tocopherol (vitamin E), rosemary extract, sandalwood oil, cedar oil, African geranium oil, bergamot oil, rosemary oil, neem oil, frankincense oil. Quick and abundant tropical rain - is harbinger of renovation. Suddenly awakening nature sleeping under the hot sun, jungle rain fills new flavors fresh colors unusual sounds. Blush swell fruits, exude the smell of flowers, still wet leaves loudly and slowly dropping large topaz drops. The same as hydrate refreshes and awakens combination skin, creating on the surface of a thin protective film from therapeutic natural oils. They prevent the evaporation of moisture throughout the day preserving the required level of moisture. The skin gains youthful appearance, elasticity, freshness and perfectly smooth surface. The oil does not clog pores, the skin continues to breathe eliminating the toxins. At the same time agent penetrates the epidermis and components of medicinal oils begin to act from within. They transform the skin, nourish, make supple and fresh operate towards the good health and natural attraction of youth. Unusual and harmonious in its contradiction fragrance oils hydrate is a sophisticated composition. It found its place in the tropic juices and unshakable calm of the north, as well as tasty oriental sweets and flavors of Western herbs. The unusual composition gives energy and inspiration is preparing for a new day and gives it fresh strength. Rub 4-8 drops of liquid between your hands and get ready to reveal the rich aroma of ether oils. Bring hands to your face take a deep breath exhale slowly. Gently patting begin the application of oil onto a clean damp face, including the area around the eyes. Treat your skin with this invigorating cocktail every morning after cleansing procedure. Simmondsia Chinensis Seed Oil (Jojoba): While Asian chefs cook from jojoba desserts and spices, the plant generously nourishes the skin. The chemical composition of jojoba oil is unique, and the properties of the plant is similar to spermaceti - a nutrient derived from whale fat. Huge amounts of unsaturated fatty acids, amino acids, and vitamin E in composition provides anti-aging, moisturizing anti-inflammatory and regenerative qualities. 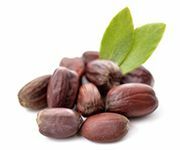 Regular use of jojoba oil slows down the aging and safeguards the skin from aggressive environmental influences. 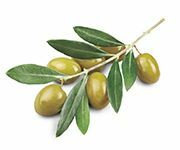 Squalane: "Rejuvenating Oil" or "vitamin oxygen" extracted from olives by hydrogenation. Importantly, this method does not obtain squalane includes the use of solvents and accordingly eliminates traces of residual solvent content. Macromolecules squalane easily penetrate human skin cell membranes and are a key component of the secretion of the sebaceous glands (up to 12- 14%). Due to the natural affinity with the skin and high penetrating ability squalane effectively acts as a carrier of biologically active substances into the skin deeply lying layers. High emollient, brings relief to dehydrated and sensitive skin, heals and restores cracked, non-comedogenic, does not leave a greasy feeling, while leaving the skin feeling soft and silky. It has a bactericidal effect, it restores the structure of epidermal lipids, due to wound-healing properties, is effective against the majority of skin diseases, including eczema, psoriasis, ulcers and burns. It helps prevent the formation of age spots and improves skin resistance to UV radiation. Corylus Avellana Seed Oil (Hazel): Mother Nature provides us with the hazelnut: a magical elixir of beauty, health, and good mood. 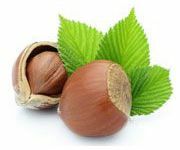 Hazelnut oil is a top performer given its' content of proteins, amino acids, vitamins C, E, B1, B2, and B6, iron; and many useful minerals such as calcium, magnesium, zinc and sodium. The full range of glycerides and fatty acids is a calling card of hazelnut oil. Oleic, linoleic, myristinic, palmitic and stearic acids not only soften and nourish the skin, but also smooth it; removing existing wrinkles and preventing new ones. The healing properties of this oil can work wonders: it reduces inflammation and irritation, heals damaged skin and accelerates tissue regeneration, treats acne, purifies and tightens the pores, and helps heal abscesses. Very light and soft texture allows the hazelnut oil to be absorbed into the skin almost instantly with no greasy shine, and it can be used for skin care around the eyes. Thanks to this " beauty cocktail", the mature skin glows with youth again, and problem or combination skin will no longer be troublesome. 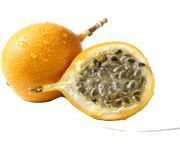 Passiflora Incarnata Seed Oil (Passionfruit): Juicy tropical fruit passionfruit with extraordinary taste is rich in vitamins antioxidants and fruit acids, causing the skin to love it. Fatty acids restore the protective lipid layer protecting skin from aging and negative environmental impacts. Vitamins nourish and enrich the skin antioxidants prevent the formation of free radicals which destroy cells. Skin gets its freshness and elasticity back. In addition remains moist and supple for a very long time. Nigella Sativa Seed Oil (Black Cumin): Cumin is a wonderful spice, known in the Orient since ancient times. These seeds add extraordinary, tart-and-tangy touch to the flavors of well-known and favorite foods such as marinades, baking, brown bread, and, of course, the fabulous Indian curry. The cold pressed cosmetic oil obtained from the seeds of black cumin, is famous for its healing benefits. This plant contains a lot of substances, which act as a catalyst for the metabolic processes, as well as amino acids, vitamins B, C, D and E, calcium, phosphorus, iron, copper and other macro and micronutrients. 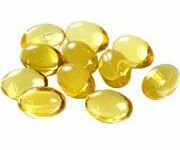 Due to the high concentrations of fatty acids, such as linoleic acid (Omega 6), linolenic acid (Omega 3), palmitic and stearic acids, cumin oil has antiseptic, anti-inflammatory, antibacterial and antifungal properties. 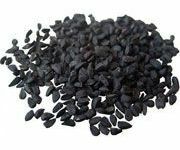 Black cumin has a regenerating, toning and resolving action; it's extremely effective in the treatment of various skin irritations and inflammations. Cosmetics with black cumin oil are recommended to care for the sensitive and oily skin, and also for the problem skin with acne, flaky or allergic skin. For the dry skin cumin oil gives a soft and delicate care, softening, moisturizing and toning it. In addition, this oil is an integral component in the mature skin care: it promotes the production of collagen, improves elasticity, firmness and skin turgor. Tocopherol (Vitamin E): Why are nuts sometimes taste so good, or spinach even broccoli? Why is it sometimes the best supper consist fully from carrot salad potatoes cucumbers? These products contain the most amount of the vitamin E feminine chemical responsible for the beauty and well-being! This powerful antioxidant slows photoaging and restores youthfulness of the skin, prevents the formation of free radicals and restores skin elastic and freshness. In addition, tocopherol enhances the protective properties of the epidermis, eliminates rashes and improves the color - the skin becomes smooth shiny and bright! 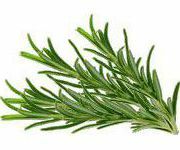 Rosmarinus Officinalis Leaf Extract (Rosemary): Charming Mediterranean cuisine owes much to the use of fresh and fragrant spice - rosemary. The plant plays an important role in cosmetology. As an antioxidant, rosemary has excellent antibacterial and antifungal action, fills with freshness and tone, stimulates blood circulation and relieves irritation. It gives youth and vigor, not only to skin. Its refreshing, slightly pine aroma enhances concentration and improves memory - this is why rosemary has no equal. Santalum Album Wood Oil (Sandalwood): Elegant luxury sandalwood oil - a special note in the composition of the orchestra. Warm and sensual fragrance will plunge you into the atmosphere of unhurried eastern life where luxury and tranquility reign. Sandalwood oil - is not only an unforgettable fragrance, but also excellent cosmetic properties. It rejuvenates, refreshes, revitalizes and returns the skin its original elasticity. The oil effectively removes fine and deep wrinkles, especially skillfully removes the mesh around the eyes. 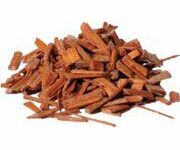 Flabby, tired, dry skin - in the list of indications for the use of sandalwood oil, it is valuable for its moisturizing and nourishing properties. This material also has powerful antiseptic and antifungal effect, helps eliminate acne, dermatitis and acne, reduces inflammation, reduces pores and normalizes the sebaceous glands. Due to the high antibacterial properties of sandalwood oil is able to stop the development of infections, so it is used, both inward and outward. 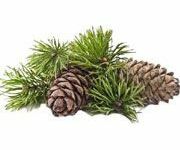 Cedrus Deodara Wood Oil (Cedarwood): Oh, pine nuts - tasty treat a great addition your food! Cedar oil is also a real boon for supply of our skin. Donated by the strict north, the plant is rich in essential fatty acids, omega acids and minerals. It contains vitamins A, B1, B2, B3 (PP), B6, D, E, F, K, potassium, phosphorus, sodium, copper, magnesium, iron, zinc, iodine, and manganese. Nutrient complex restores skin texture, smoothes wrinkles and improves tone. The skin receives all necessary health and youth substance becomes smooth, hydrated, nourished and radiant. Pelargonium Graveolens Flower Oil (Geranium): Did you know that the popular home flower is also a spice? In Europe, the geranium is added to the compote, biscuits are cooked with it and cakes get decorated with the sugared petals! Geranium oil has beneficial effects on sensitive and damaged skin, rejuvenates and makes it soft and silky. Regenerating the skin at the cellular level geranium oil normalizes the work of glands, eliminates rashes and effectively treats eczema and dermatitis. Subtlest floral fragrance relaxes envelops veil of blissful tranquility. Citrus Bergamia Peel Oil Expressed (Bergamot): Essential oil of bergamot flavor improves mood, concentration, and according to the esoteric teachings - strengthens the aura glow, enhancing creativity and imagination. But not only the aura begins to glow brighter as well, and your skin becomes radiant and beautiful. Improve skin elasticity, tone and stop the inflammation. 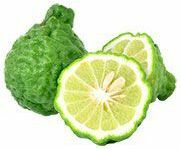 A regular application of Bergamot oil in cosmetics regulates the production of sebum, and actively fight against various dermatological diseases. Rosmarinus Officinalis Leaf Oil (Rosemary): Charming Mediterranean cuisine owes much to the use of fresh and fragrant spice - rosemary. The plant plays an important role in cosmetology. As an antioxidant, rosemary has excellent antibacterial and antifungal action, fills with freshness and tone, stimulates blood circulation and relieves irritation. It gives youth and vigor, not only to skin. Its refreshing, slightly pine aroma enhances concentration and improves memory - this is why rosemary has no equal. 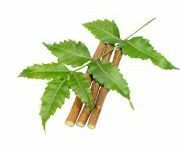 Azadirachta Indica Seed Oil (Neem): Neem Wood is the one of the key base plant in Ayurvedic system of medicine. The word "neem" in Sanskrit means "giving health." For 5000 years it safely and effectively used in Ayurveda, justifying its name and described as a "cure for all diseases" or "bitter gift of nature" (because of the bitter taste of neem). This is one of the strongest, if not the strongest in the world, a natural antiseptic, and the most powerful natural anti-fungal agent having powerful antimicrobial and antibacterial effect. The main components of neem oil are: oleic, palmitic, stearic, linoleic, arachidonic acid, bitter substances, sulfur compounds, natural antibiotics, copper, sterols, amino acids, vitamins E, A and C, etc. It is very successfully treat skin diseases - psoriasis, eczema, leprosy, ringworm, pustular rash, acne, boils, effectively relieves the itching, redness and irritation. Deep cleans and tightens pores, regulates the activity of sebaceous glands, tightens and tones the skin. It gives antiseptic and antibacterial protection for healthy skin. 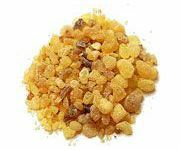 Boswellia Carterii Oil (Frankincense): There is hardly more relaxing aroma than the frankincense. No wonder it is the most ancient incense in the world. The bestower of peace is effectively used in cosmetology. Increasing skin elasticity, frankincense oil, smoothes and refreshes its color. Frankincense oil has antiseptic regenerative properties, it cleans and smoothes the skin. Deep flavor feels like an eternity. Frankincense is slowing down all the events at the same time stopping the aging process and drives away all unnecessary disturbances of the day past. Linalool*, Citral*, Citronellol*, Geraniol*, Limonene* - from natural essetial oils. Store at room temperature, avoid direct sunlight. The product can be used within 2 years from the date of manufacture.